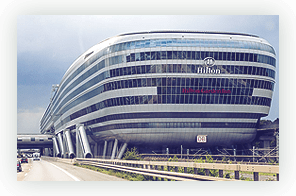 Why VPN for Germany is a Necessity? In Germany, government agencies has made it mandatory for the telecommunication companies and ISPs to retain online data of their users. It has become really essential for everyone living in Germany to protect their own online identity by themselves. To do that, they need a log-free, fast VPN for Germany to avoid data retention laws in Germany. 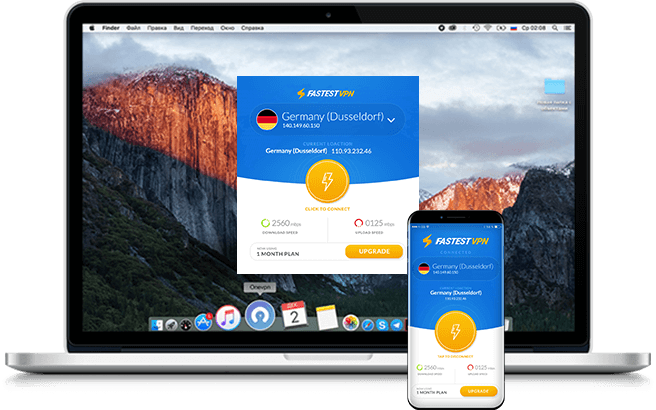 FastestVPN brings you the best VPN for Germany that prevent ISPs from logging your internet data and protects you from all the privacy laws in Germany by keeping you anonymous all the time. 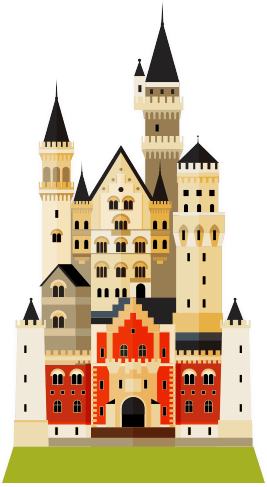 Our VPN for Germany utilizes top security protocols like OpenVPN, PPTP, L2TP, IKEv2, Xsec, and OpenConnect, making it the most secure VPN for Germany. If you’re travelling out of Germany for work or studies, you may face geo-restrictions to all your favorite programs online. Our VPN for Germany allows you to watch your favorite German movies, TV shows, music, and sports away from home with convenience. VPN for Germany enables you to bypass geo-restrictions, so that you can watch your favorite sports channels, movies, and TV shows from anywhere on the globe. Wi-Fi hotspots have become an extremely unsafe place to surf the internet, even in Germany. Users are become victim to different kinds of cyberattacks after connecting to a public Wi-Fi. By using FastestVPN, you will get unlimited protections against such attacks when connected to a public Wi-Fi – in hotels, airport, or in a local café. FastestVPN has equipped its German servers with top security features including NAT Firewall, Malware Protection, and AdBlocker to keep you and your data safe all the time. German surveillance agencies has always been known to monitoring and spying on their citizens online for years. Moreover, the government is planning for a massive increase in their budget for such activities. Now, it has become imperative for the German public to have solid online protection against mass-surveillance. A Germany VPN is what they need, as it offers the best online protection against mass surveillance and data retention. Our German VPN encrypts your data and keep you anonymous so you can browse the internet freely and securely. In Germany, there are some strict laws when it comes to the use of internet, especially the infringement laws that prevents the use of P2P sharing websites. So, if you live in Germany, you will face restriction when downloading or even accessing torrent sites, unless you use a VPN for Germany. A VPN for Germany will allow you to not just access blocked content privately, it will also allow torrenting anonymously. When you use our VPN for Germany, you will be able to access German content with total freedom and do that in the most secure way. The simplest way to connect and become anonymous is with FastestVPN. The VPN for Germany hides your IP address and keep you your online identity private and your system secure. Whether you live in Germany or outside, using VPN for Germany will give you anonymous access to global content with secure connection to our fastest German servers that encrypts all your traffic and data to keep you safe from hackers and government agencies. How to Get Anonymous with VPN for Germany? Get our FastestVPN apps on your devices. Connect to our fast Germany VPN servers from your devices. Connect to German VPN servers on 10 devices simultaneously. Malware protection against harmful threats. AdBlocker makes your devices 100% ad free. For me, I think Security-wise fastestVPN has the most features, and it is also great in maintaining my online privacy. A highly recommended VPN!! FastestVPN is an amazing app and works great on my android device. Their customer support has also been great and helpful to me whenever I faced any issue with the service. FastestVPN is simply amazing! It gives me confidentiality while I’m browsing the web. I live in Germany and needed a VPN to protect myself online. FastestVPN has provided me everything I need: Online privacy, security, and fast connectivity to blocked websites. Thank you FastestVPN! Is torrenting illegal in Germany? Yes, torrenting is absolutely legal in Germany. But just like everywhere else, torrenting copyrighted file is not safe and can get you in trouble. Though when you’re torrenting, you may not know what is safe to download and what is not, torrenting would become much safer when you use VPN for Germany. You need a reliable, P2P optimized VPN, so that you can torrent anonymously and avoid getting caught for copyright infringement. VPN for Germany will mask your IP address and assign you a Germany IP address that will allow you to anonymously browse and download with ease. Can my ISP still see my activities if I use a VPN for Germany? No, your ISP can’t. For instance, when you’re connected to a Germany VPN, your ISP will only see you sending and receiving a bunch of data in Germany. They won’t have any clue on what the data is. However, some ISPs use advanced hardware to fingerprint your traffic. But then again, most VPN providers use different encryption and security protocols to make your data almost impossible to identity and decrypt. In other words, your ISP may be able to find out that you’re downloading a file from some location, but he won’t be able to find out what you are downloading. This is the reason why so many people around the world prefer VPN service to keep their online privacy and security intact. Why shouldn’t I use a free VPN for Germany VPN service? A free VPN may seem tempting; free security, free anonymity, and free access to websites. However, this isn’t the case most of the time. If you use a free VPN in Germany, you may very well be compromising on your online security, your personal data, and potentially get caught. How? It may allow your ISP and website you are visiting to track and sell your data to 3rd party advertisers. When you use a Free VPN, you will be bombarded with advertisements and this may slow your connection down. Free VPNs are not very reliable when it comes to protecting your IP. Suppose you’re torrenting using a free VPN, It may leak your IP to your ISP and potentially government agencies that can fine you or possibly throw you behind bars. On the other hand, a paid VPN service will encrypt your data completely and not allow anyone to track and sell it. A VPN like FastestVPN uses AdBlocker to prevent ads from popping on your devices, and is reliable enough to keep your IP safe and private from snoopers and ISPs. A good VPN service will offer you different security protocols, unmatchable bandwidth speeds, anonymity, security, reliability, etc., and most free VPN services doesn’t seem to offer any of that. How can one watch public German TV from anywhere across the world? Just like UK channels are only accessible in UK, likewise German TV channels are only accessible in Germany. So if you live in Germany, then you will have nonstop access to all online German TV channels in your locality. However, if you’re travelling outside Germany, then you may find yourself restricted to stream German TV channels online. To bypass restrictions and unblock German TV channels, you need to have a German IP. And to get a German IP, you need a reliable, no-log VPN service. By using a VPN for Germany like FastestVPN, you will be able to hide your IP address and access German TV without any difficulties. VPN for Germany gives you ultimate streaming experience, so when you connect to it and watch your favorite German TV channels online, you will face zero buffering issues so you can enjoy your streams in the most comfortable manner.